I’m pinching myself as I type this. Seriously, am I looking at a photo of Christmas decorations?! Before any of us is tempted to scream in panic, “Christmas is six weeks away? !” let’s all take a few Lamaze breaths and enjoy Thanksgiving first. But like a true DoAhead,let’s be thinking about one SMALL thing we could do differently this season to help transition from Thanksgiving to Christmas decor! This is important to consider now because 2 weeks before Christmas the LAST thing any of us wants to think about is organizing our Christmas decorations! 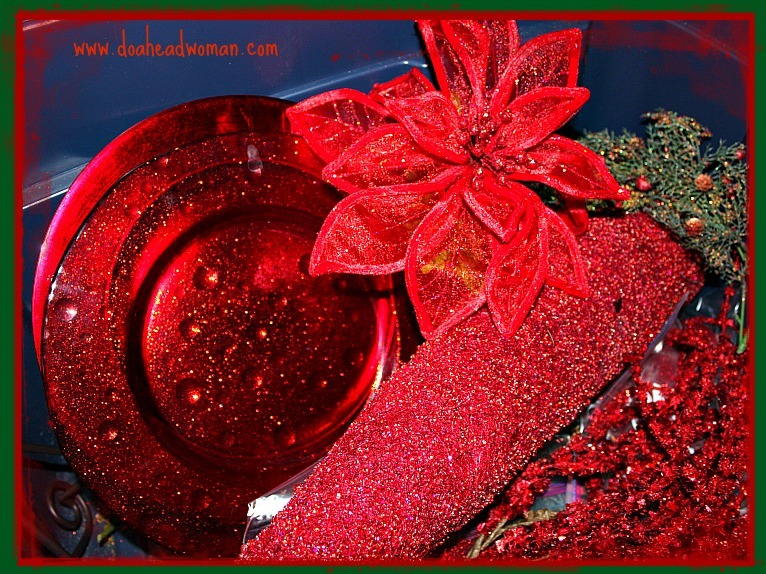 Besides, this is the time to be looking out for tubs, baskets and containers that are on sale. At any rate friends, take quick stock of one area of decor’ you could organize this year. How about decorations for your tree? 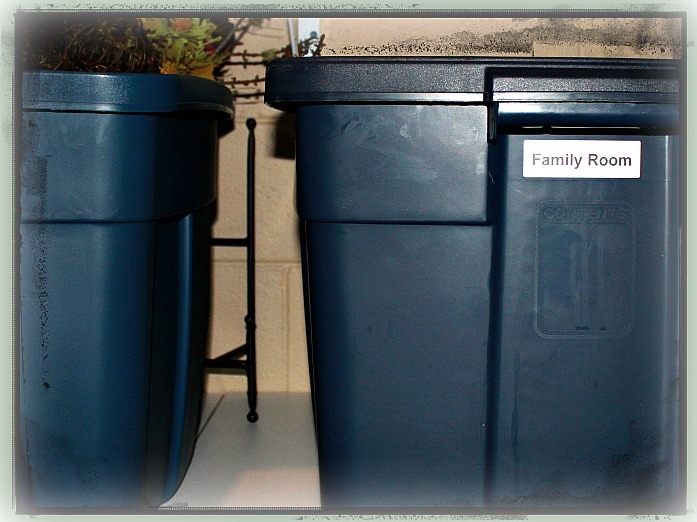 One thing we switched to was smaller Rubbermaid tubs with each of the kids’ names on them. They store their individual Christmas keepsakes in their respective containers. Each year they adorn the tree with whatever suits their fancy. MaMa “C” (that’s me) has her own tub with the lights, tree skirt and a few miscellaneous ornaments. The tree is the most sacred Christmas decor item in our home. We want it up first. It’s quick and easy to do when we have tubs allocated for just the tree. Other Christmas items are organized in tubs according to rooms. This allows this busy DoAhead to grab 30 minutes in between any given activity and get at least get ONE room decorated! So…let’s enjoy our turkey and mashed potatoes this Thanksgiving but while dinner is settling let’s clip those coupons and find just one tub that Christmas items can be stored in. It will make NEXT year just a little bit easier. And that my friends is called Doing Ahead!